Interval training allows you to swim at a faster pace than you could maintain for a greater distance. Eventually, interval training will help you swim at a faster pace for a longer amount of time. Interval training teaches your body to respond to stress, and helps your body become more efficient at flushing lactic acid from your system. Interval training is mentally refreshing, as workouts constantly shift focus between fast swimming and either active or passive rest. Interval training doesn’t require fancy or expensive training equipment. Interval training will make you tough. Pushing your body outside of your comfort zone will teach you to work through the pain of a challenging workout and help you prepare for the challenges you will face on race day. Interval training is difficult for your body to adapt to, and can trick your body into greater improvements because you aren’t allowing your body to get used to a workout. Interval training teaches your body to recover faster. Interval training gives you the opportunity to swim at different speeds during the same workout. Interval training can help you learn how to pace yourself because you can look at your time or check your heart rate while you are resting. In short, interval training can help you learn more about your body. What do you love about interval training? How do you incorporate interval training into your workouts? Resting at the wall is a good time to check your heart rate or time. You know, I agree. I do this religiously in swimming, but need to do better with my other two sports. . . I seriously look forward to it improving my cycling and running! Thanks for the great post!!! 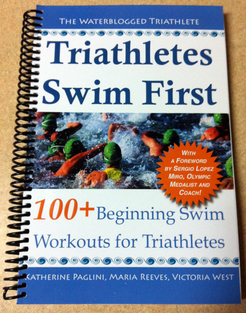 I am the same way – this is how we trained on swim team from day one but I feel like I have so much to learn about the bike and run side of a tri! Thanks for reading, I’m glad you liked this post! I totally agree with the pro’s of interval training as i base my swimming conditioning to that effect but equally or even more important is the fact that… Excellent Freestyle Technique showing long stroking with forward high elbow catch and Perpetual swimming motion.. is how every training session should be swam and eventually water fitness and swimming speed will develop…In preparing or doing a swim programme, intervals are dictated by your personal ability to swim a set only by prioritizing your effort through the correct technique. You won’t hear an argument from us, technique should always come first! Suppose you don’t like the cold — downright averse to it. Winter Schminter you mutter…well here is inspiration for you, awaiting you at your local recreation center pool, and by analogy, applicable to all training for all endurance sports…A GREAT piece on the power of intervals.